This demo illustrates that (nearly) sinusoidal signals can be produced by other simple physical systems. In this case, we use a simple clay whistle which can be modeled as a an "acoustic tube" or a closed-end pipe. 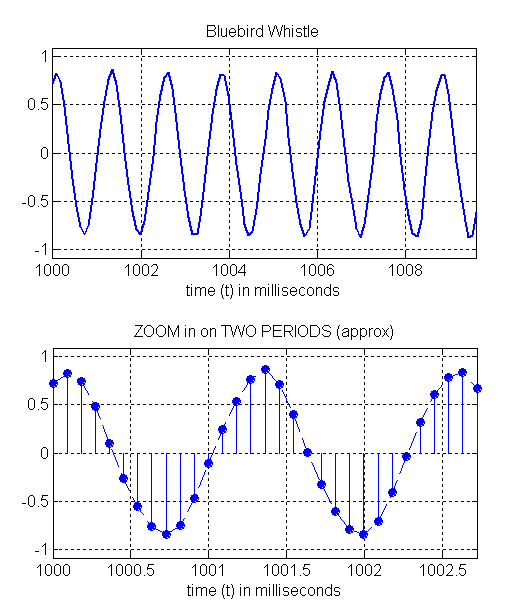 The objective of the demo is to listen to the sounds of two different clay whistles and then compute the frequencies of the sinusoids from a plot. 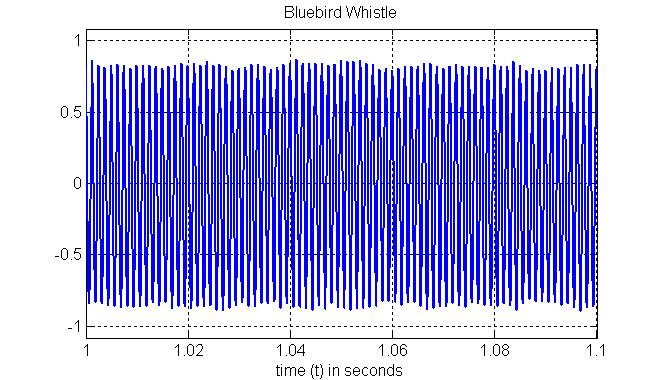 BLUE-BIRD WHISTLE: Here is a plot of part of the sound from the blue-bird clay whistle. Notice that the maximum is nearly constant. What is the frequency of the blue-bird whistle? You can compute it by measuring the period from the zoomed plots below. The second plot shows the individal signal samples stored in the computer. 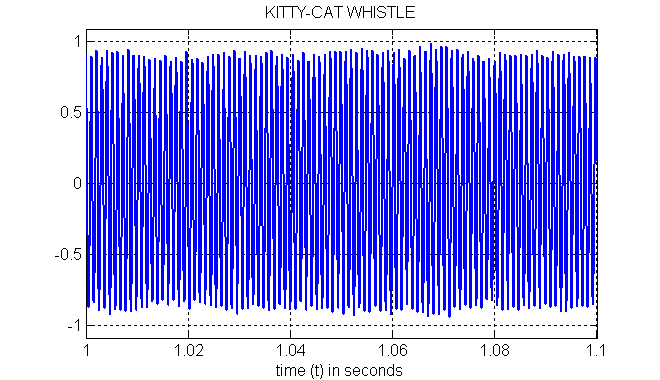 CAT WHISTLE: Here is a plot of part of the sound from the cat clay whistle. Notice that the maximum is nearly constant in this (relatively long) time interval. What is the frequency of the cat whistle? 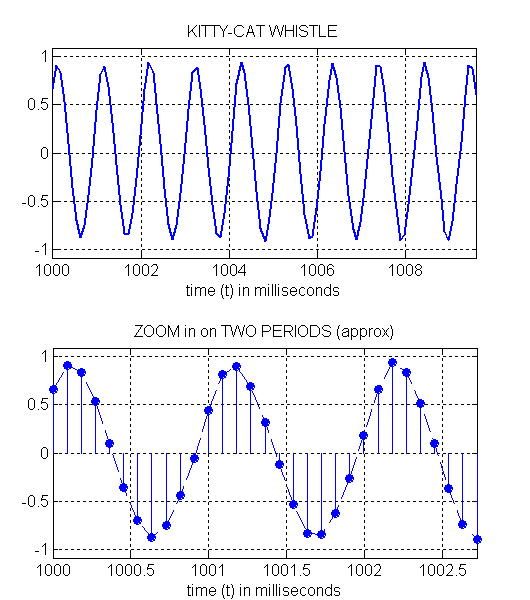 As before, you can compute it by measuring the period from the zoomed plots below.